Bourbon Heritage Month is right around the corner, and what better way to prepare than with three samples of highly-anticipated limited editions from Heaven Hill? 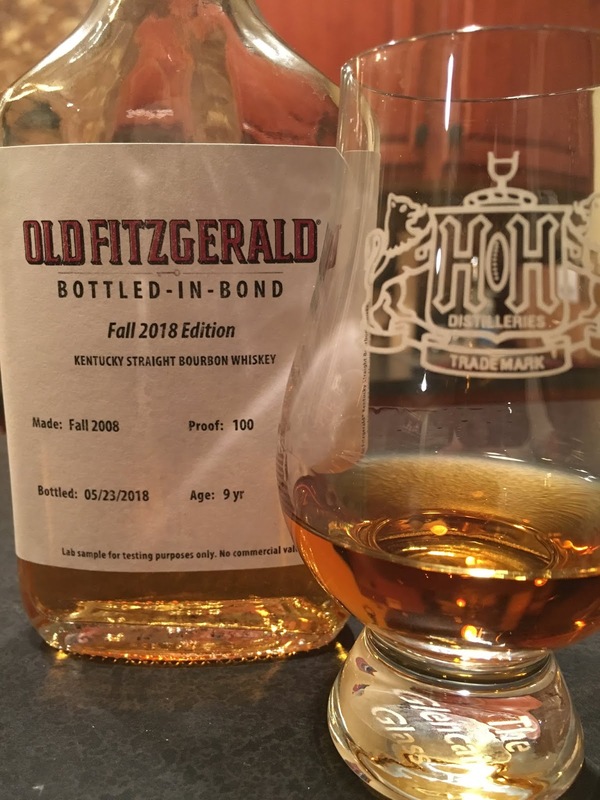 Second, Heaven Hill is releasing the second edition of it Old Fitzgerald Bottled-in-Bond decanter series inspired by a 1950’s decanter and using the type of tax strip from a bygone era before the Bottled-in-Bond regulations were relaxed. As usual, Old Fitzgerald uses wheat as its secondary grain. This edition was aged for nine years. Third—and already a hot topic—is a small batch offering of jaw-dropping 27-year old bourbon. 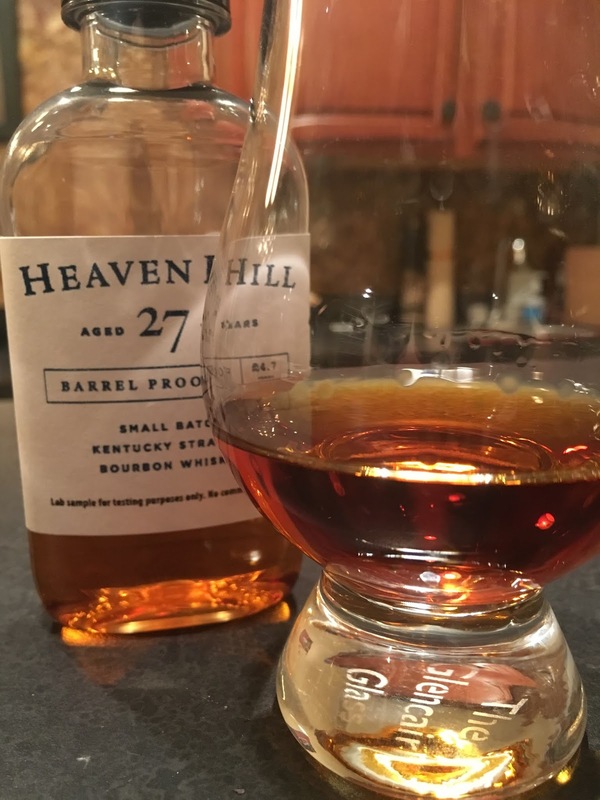 This bottling is truly rare not just because of the extraordinary age, but because it was distilled at Heaven Hill’s old distillery in Bardstown (DSP-KY-31) before it was destroyed by fire in 1996. The bottling consists of only 41 barrels that suffered extreme angel’s share loss over nearly three decades of aging (as expected), resulting in fewer than 3,000 bottles for the release. Just as remarkable, this small batch was bottled at barrel proof, which was only 94.7 proof due to having been aged on low floors. With a fancy custom box to boot, this release has all of the trappings of a true limited edition. Golden brown with a glint of red. I’ve never smelled an orange blossom, but I imagine that it would smell exactly like this. Sweet floral and orange zest. I didn’t know what to expect—other than orange—but I was very pleasantly surprised. There’s a distinct brandy-esque sweetness under an orange backbone. It’s unmistakably orange, but more like a milk chocolate orange cream from a fine chocolatier, with light sweet fruit and basil, giving it a refreshing quality. Curaçao drove the medium-length finish, which would have been outstanding if it could have shifted to dry oakiness and spice, but it didn’t get past floral sweetness. Copper (lightest of the three samples). Old barn, grasses, caramel, brown sugar, fresh bread, oak, and more complexity that I couldn’t quite put my finger on. I really enjoyed the aromas. Out of the gate with strong caramel—which hadn’t dominated the nose—balanced with the right amount of oak and vanilla, followed by a transition to pepper spice. This bourbon checks all of the boxes for me. Long, with a big warm hug. Brown, of course, but somehow I’ve seen darker in younger bourbon. Oak, of course, but also aromas of tobacco, old leather, old library, and all of those fantastic old oak aromas. There’s some earthiness and a prickle of black pepper. I love the aroma of these extra-extra-aged bourbons. Oak, of course, but not an “oak bomb” in my experience. I’ve had those puckering experiences, and while indisputably oaky, this is nowhere near one-dimensional. There’s a layer of dark (really dark) chocolate and dried dark fruit followed by flavors of black pepper, clove, espresso, and rye toast to round out a dry bourbon that makes me yearn for slow sipping around a fall campfire. Mid-long that builds very slowly, nearly to a gear shift, and then gentle lingering. It’s oak-driven and dry with enjoyable warmth. I’m glad to have these samples because chances are that I’ll get shut out at retail on all three. I’d buy all three though, and given the opportunity, I’d back up the proverbial truck for the Old Fitzgerald. 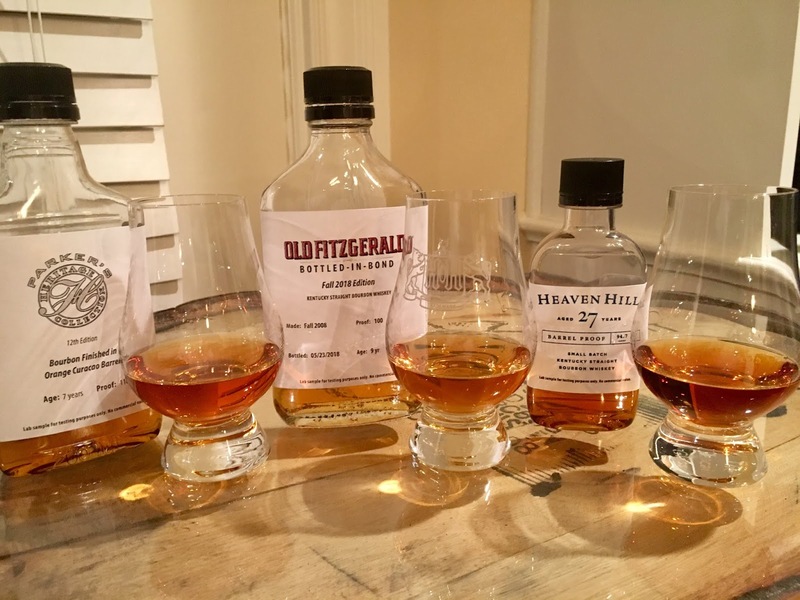 As much as the Old Fitzgerald Bottled-in-Bond 9-year hits all of the high points for what bourbon should be—and should therefore have wide appeal—the Parker’s Heritage Collection and the Heaven Hill 27-year are geared toward niche crowds. 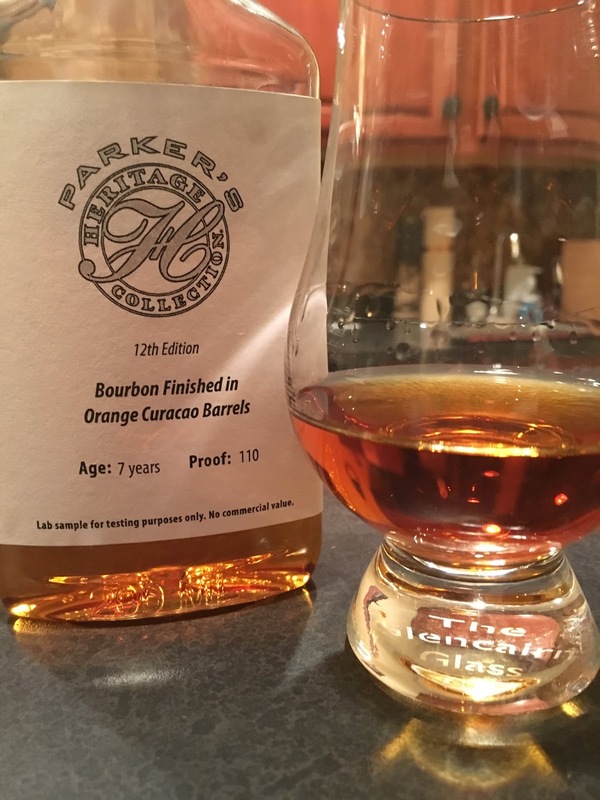 The orange citrus zest flavors of Parker’s Heritage Collection might put off folks who consider themselves bourbon purists, and the prominent oak backbone of the 27-year old (not to mention the steep price) will get other folks to run out for something sweet like Larceny. Whatever your personal preference, you’ll have at least one of these on your hunting list this fall. for this review, without any strings attached. ← Sipp’n Corn Book Review—Mead: The Libations, Legends, and Lore of History’s Oldest Drink by Fred Minnick.